Mohanlal was born on 21st May 1961 to Viswanathan Nair and Mother Santhakumari in Pathanamthitta district. His original name is Mohanlal viswanathan Nair and he was grew up at his mother’s house in Trivandrum. He studied at the Mudavanmukal LP school and later enrolled in the Model School, Trivandrum. He completed his graduation with a B.Com. from Mahatma Gandhi College,Trivandrum. Later Mohanlal has got married to Suchitra on 28th April 1988. Mohanlal started his film carrier with the film Thiranottam,but due to some issues the film not released during that time. After that he was cast in the lead antagonist role in Manjil Virinja Pookkal ,which was the turning point in his carrier. By 1983, he was acted more than 25 films ,most of it had a negative roles. After the success of Rajavinte Makan (1986), he was labelled as the first super star of Malayalam. He received a special jury award in National Film Awards for the film Kireedam in 1990. Mohanlal becomes a film producer with the film His Highness Abdullah and he has also acted many notable Tamil and Bollywood films like , Iruvar, directed by Mani Ratnam, and Company, directed by Ram Gopal Varma. In 2000, Mohanlal starred in the movie ‘Narasimham’ , it became the highest grossing movies in the history of Malayalam cinema. 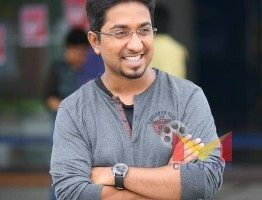 After that he acted in the action mass roles like Ravanaprabhu , Praja , Onnaman , Thandavam and Chathurangam. In 2001, the Government of India honoured him with the Padma Shri for his contributions to Indian cinema.Mohanlal won the Kerala State Award for Best Actor for his performance in Thanmathra(2005) and Paradesi(2007). In 2009, he conferred the honorary position as a Lt Colonel in the Territorial Army of India and in 2010, Mohanlal was honoured with Doctorate by prestigious Sree Sankaracharya University of Sanskrit, Kerala.